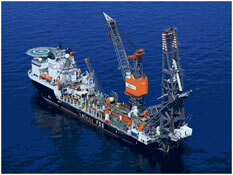 As experts on the deepwater Supply Chain, Quest Offshore Consulting continues its established Latin America practice, servicing clients involved in growth opportunities within upstream oil & gas in Mexico, Brazil and the mid-Atlantic basin, providing advisory & analysis to help energy businesses, government agencies and the O&G supply chain make strategic data-driven decisions led by both qualitative and quantitative research. The Deepwater Executive Summit will be held November 19, 2019 at The Westin Houston, Memorial City Hotel. The goal of the Deepwater Executive Summit is to facilitate moving the industry forward through shared learnings, best practices, and networking amongst industry leaders. MCE-DD is recognized as the leading conference addressing technical issues related to engineering, development, and production of oil and gas in deep and ultra-deepwater arenas around the world. The conference has been sponsored in recent years by BP, TOTAL, SHELL, ENI, Repsol and other major operators and attended by executives from operators and suppliers worldwide. Gulf Quest is a partnership between Gulf Energy Information and Quest Conferences LLC for the joint operation of offshore conferences, including the leading global deepwater technology event, MCE-DD Deepwater Development. Newly launched executive level events include Deepwater Executive Summit, held annually in Houston, and Global Offshore Brazil Summit. Q FWE focuses on uniting, educating and expanding the global offshore floating wind industry and providing strategic insight, information and analytics throughout each stage of the supply chain. If you would like to learn more about the floating wind industry please register as a member on our website! The Global Offshore Brazil Summit, which will be held 20-21 February, 2019, at the Sheraton Grand Rio Hotel, Rio de Janeiro, Brazil. Global Offshore Brazil Summit is Headlining an Unprecedented Line-up of Major Executives, Distinguished Industry Leaders and Dignitaries to Address the Finance and Technology Requirements and Associated Strategies to Navigate the World’s Most Prolific Deepwater Arena. Fully focused on the Offshore Renewables Sector with a dedicated concentration on Floating Wind and bottom fixed where they are in competition. Expert market analysts utilizing a bottoms-up / top down approach combining both quantitative and qualitative research and referencing. International, maintaining our global energy insight from hubs in Amsterdam and Houston with support from our offices in New York, London and Rio de Janeiro. Proven and experienced having worked on hundreds of energy related consulting projects.